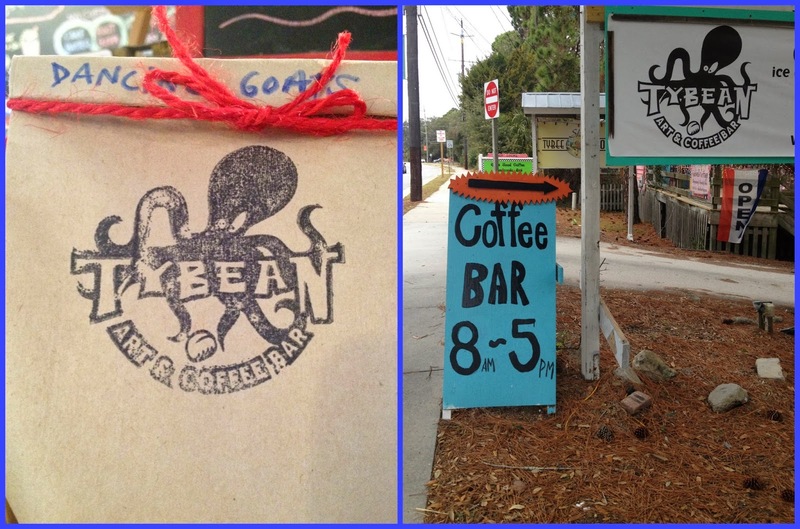 One of our favorite places while we were on Tybee is the Tybean Art & Coffee Bar. 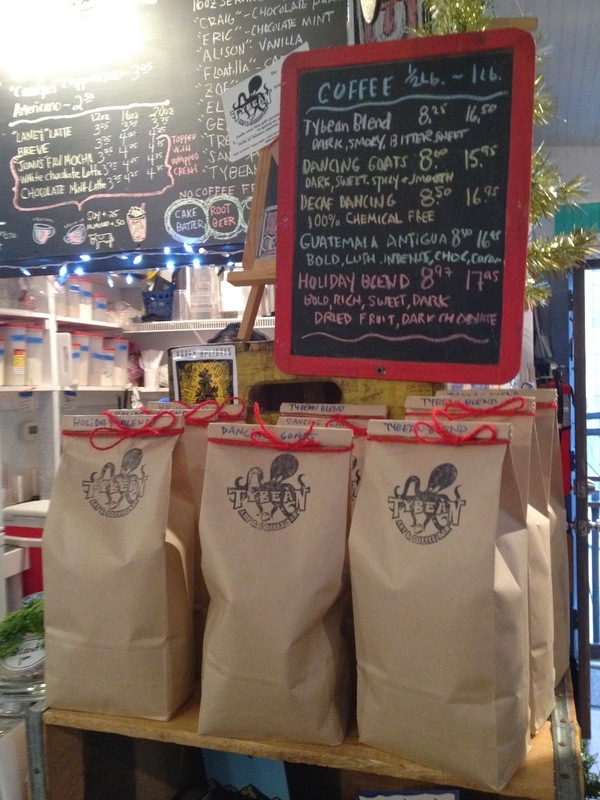 Although we travel with our own expresso maker when we glamp, this coffee shop had us coming back for more. We were on Tybee for just a week, but the owners made us feel so welcome that we didn't just grab our coffee and go...we wanted to peruse all the cool art and chat them up. It was like hanging with old friends. The decor is very colorful and happy, just what you need when you are waking up and on island time. 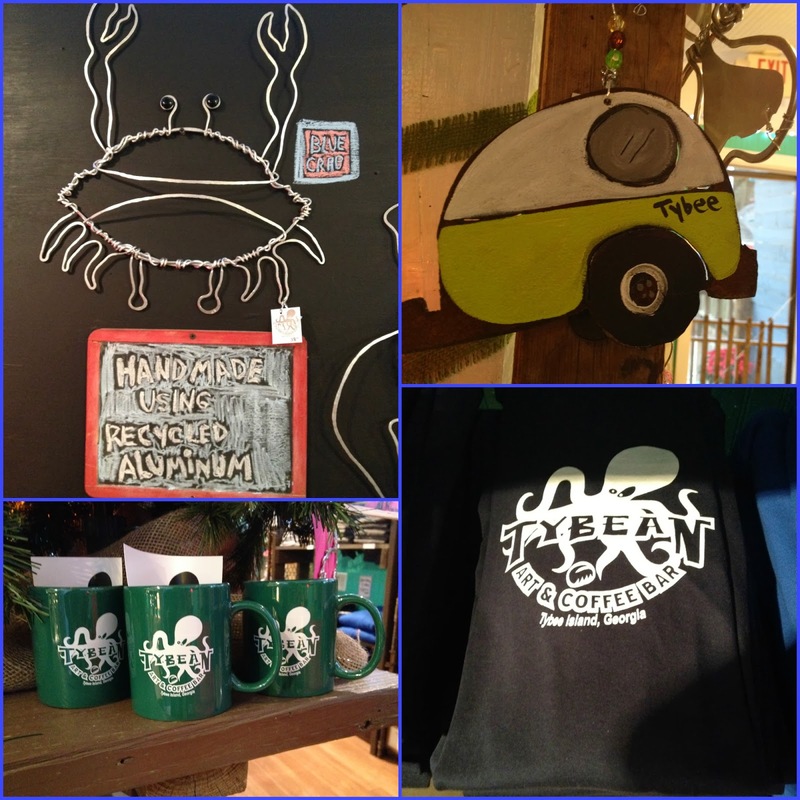 The shop also showcases local art along with some other items like jewelry, mugs and their own tees and hoodies. I knew this was a place I had to check ou as soon as I saw the Octopus on their logo and I was not disappointed. They have a variety of yummy drinks. I was obsessed with their Dirty Vanilla Chai Latte, and I also highly recommend their ice coffee...muy delicioso! I really appreciated their attention to detail when it came to getting the coffee right. Have you ever been to a fancy coffee place and ordered a cup of chai or a latte, only to get a cup of diabetes? UGH, right? Not here. Love your comment about the cup of diabetes. If you ever pass thru Tulsa visit Gypsy Coffee House. They got it going on! Lovely blogspot and wonderful post and photos! Thank you!